HOUSTON -- The Houston Astros had a special guest to toss out the first pitch at their game against the Orioles Monday night. Standing on the pitching rubber and surrounded by some of Houston's finest, Tyler Martin, 11, tossed the ceremonial first pitch to Astros second baseman Jose Altuve as Astro George Springer looked on. 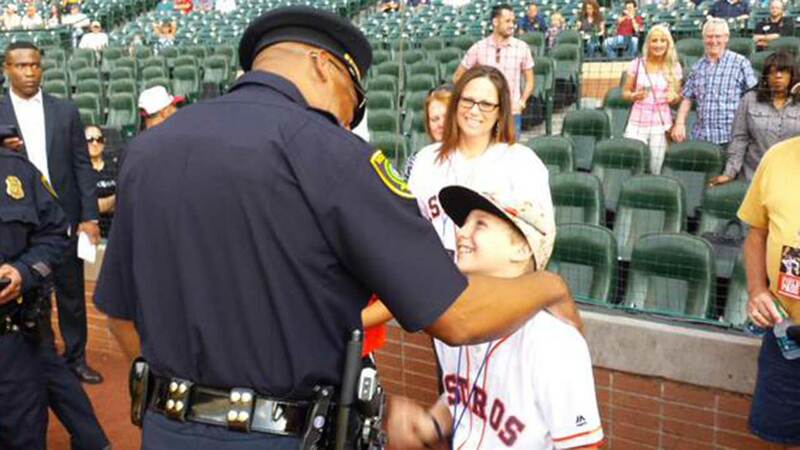 Last month, Tyler lost his father, Officer Richard Martin. Martin, 47, was killed at the end of a police chase on May 18 as he tried to lay out spike strips to stop suspect Jeffery Conlin.